Center for Natural Family Medicine is a holistic medical practice focused on finding nonsurgical, nonprescription solutions for chronic health conditions located in the Carthay neighborhood of Los Angeles and Arcadia, California. LeTrinh Hoang, DO, and her team of professionals are known for thinking outside of the box and for helping people find the answers to their medical conditions. The holistic clinic provides care for patients of all ages, from newborns to adults up to age 60. The clinic specializes in osteopathic medicine, which is used to manage a number of chronic health conditions, from asthma to migraines. The Center for Natural Family Medicine also provides holistic management for women’s health, including pelvic floor dysfunction. Integrative pain management is a major focus at the Center for Natural Family Medicine. The team believes that pain signifies that something is wrong in the body. Over time, pain arises from tension caused by an initial trauma that the body can no longer compensate for. 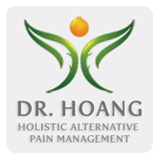 Dr. Hoang and her team offer alternative and holistic pain management options for a number of chronic conditions such as neck pain, spinal stenosis, herniated disc, and headaches. The practice also offers holistic therapies, including prolotherapy, platelet-rich plasma, and homeopathy. For a holistic approach to medicine aimed at healing the body, call the Center for Natural Family Medicine today or use the online booking tool to schedule an appointment.